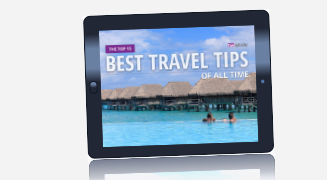 STEP 1: Learn about these travel trends and tools, deals and newsmakers. Talk of Cuba continues to swirl among travel industry insiders, much of it about how promimently the U.S. will feature in the future of the island’s tourism. Super-nice, then, to hear about more solid plans: the forthcoming opening of a fantastic Kempinski hotel opening this year in the UNESCO-designated Manzana de Gómez building in the heart of Old Havana. 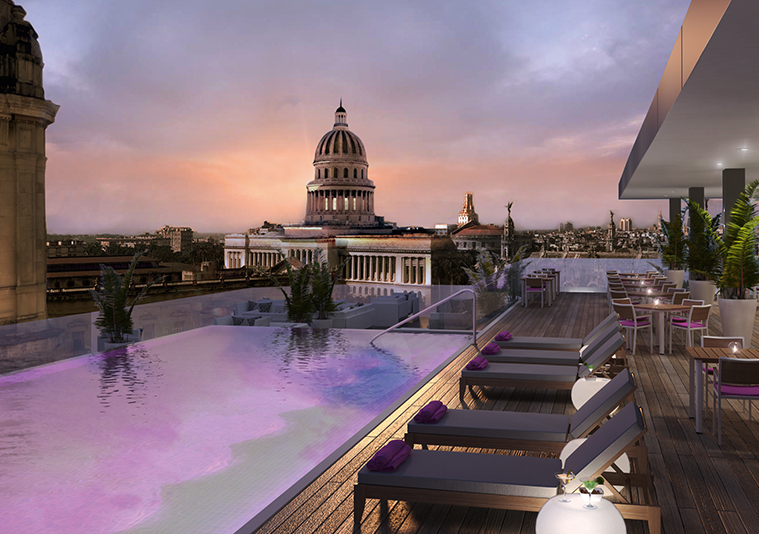 The Gran Hotel Manzana Kempinski La Habana will be the European luxury chain’s first hotel in Cuba, and it looks like they’re doing it up right, touting it as Havana’s first modern luxury five-star property. The 246 rooms and suites – from 40 to 150 square metres – are kitted out with a colourful and refreshing modern trad design. Throw in lavish original architectural flourishes and vaulted ceilings and you’ve practically got a movie set. Opened in 1910, the iconic heritage building was Cuba’s first European-style shopping arcade, with diagonal inner walkways connecting the corners of the block’s four surrounding streets. Three restaurants, a gorgeous rooftop terrace and swimming pool with sweeping views of Old Town, and a 1,000-square-metre bespoke spa by Switzerland’s Resense luxe up the luxury even harder. The cigar lounge is an absolute no-brainer. I just like saying Manzana La Habana. Visit the hotel website here. A new survey from the business travel platform of Booking.com discovered that the lines between business and leisure are becoming increasingly blurred. It reported that nearly half of Canadian business travellers extend their work trips to throw in a little R&R. The data shows that these business people were more than likely to champion their “bleisure” again this year, using travel as a chance to not only expend their careers, but also to see a bit more of the world, and get inspired by travelling the same way tourists do. Booking.com identified the top 10 fastest-growing cities for business travellers, too: Shanghai, Tokyo, Bangkok, Guangzhou, New York, Budapest, Singapore, Hong Kong, Prague and Amsterdam. And with today’s workforce becoming increasingly more mobile, travel is not such a disruption. Many people now don’t even bother turning on an auto-away message – they’re constantly plugged in. Accommodation options for suits are getting more creative, too. One last survey factoid: Not surprisingly, 15% of business travellers still book last-minute and change their plans last-minute. Not very efficient, we’d say. You’re fired. It’s never too early to start planning Europe. Where’s it going to be this year? Business is booming in the river-cruise sector, and that kind of holiday livin’ is definitely easy, trust me. 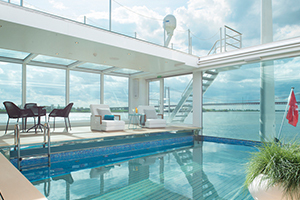 Proof positive is Emerald Waterways, which is rolling out three new ships this year. This not only almost doubles their fleet, but also expands their itineraries into France and Portugal. 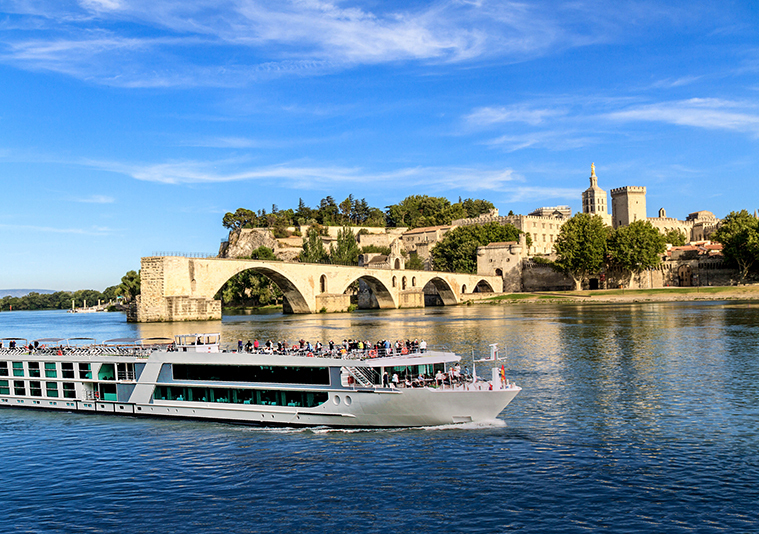 The Emerald Liberté will head down the Rhone and Saône rivers in France, also in April, with 138 guests. 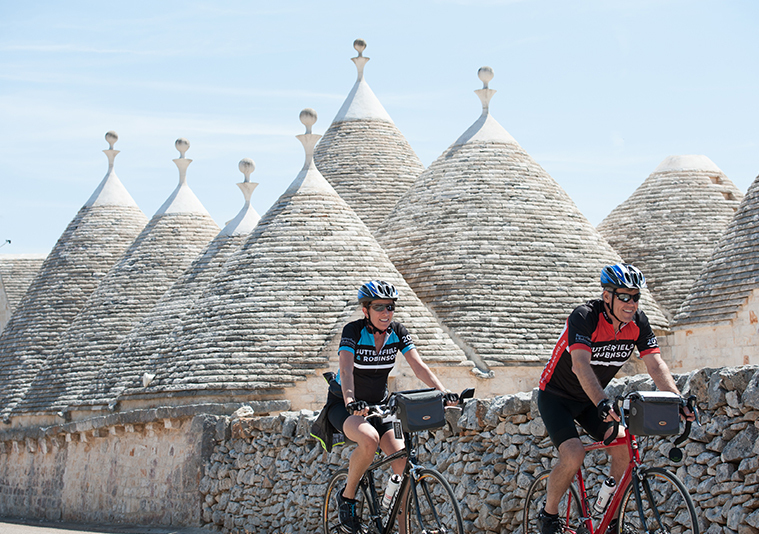 The itineraries have been pumped up to include the company’s Emerald Active hiking and biking programs, plus the talents of award-winning French chef Fabien Morreale. And the Emerald Radiance will sail the Douro River in Portugal with 112 passengers starting in May. Its Riverview Suites are a spacious 330 square feet, with panoramic views from special drop-down windows, walk-in closets (!!!) and all the amenities of the Owner’s Suite. Pretty posh. Emerald has various deals on upgrades and extras and such from now until the end of March if you’re interested in saving money which you are. Visit EmeraldWaterways.ca. In an effort to make my shaving kit ever smaller, I’m always searching for travel-friendly sachets of grooming products to throw in my carryon. 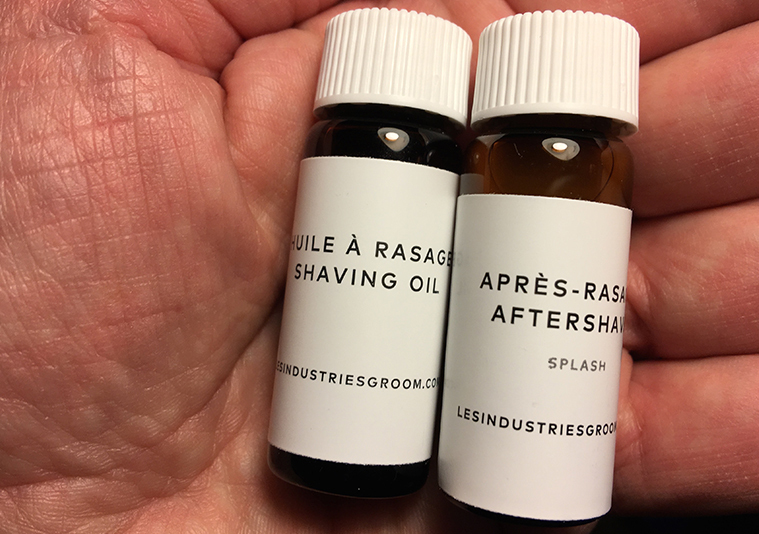 I recently discovered Les Industries Groom Collection, a cool brand from Montreal that kitted me out with their new Shaving Care Trial Kit. Made with argan, hemp seed, jojoba and coconut oils, these all-natural, paraben-free products smell like a turn-of-the-century apothecary. The set contains four of the brand’s mainstays, including the Shaving Cream (30 ml), After Shave Balm (15 ml), Aftershave Splash (7 ml), and Shaving Oil (7 ml), for $32. And when you run out, there’s plenty more where that came from, so keep the jars and fill them up from the full-size versions. Groom also makes a nice Shaving Soap, inspired by the Italian tradition of soft shaving soaps, and made from shea and cocoa butter ($30, 140 g); Beard Oil, which nourishes the beard and hydrates the skin ($28,30 ml); and Moustache Wax, for those of you so inclined ($15, 15 ml). All available online at lesindustriesgroom.com and at select Frank & Oak and RW&CO stores across Canada. Last-minute hotel rooms? If you don’t happen to be a “planner” or you find yourself out on the street one night in a strange land, the HotelTonight app might just be for you. 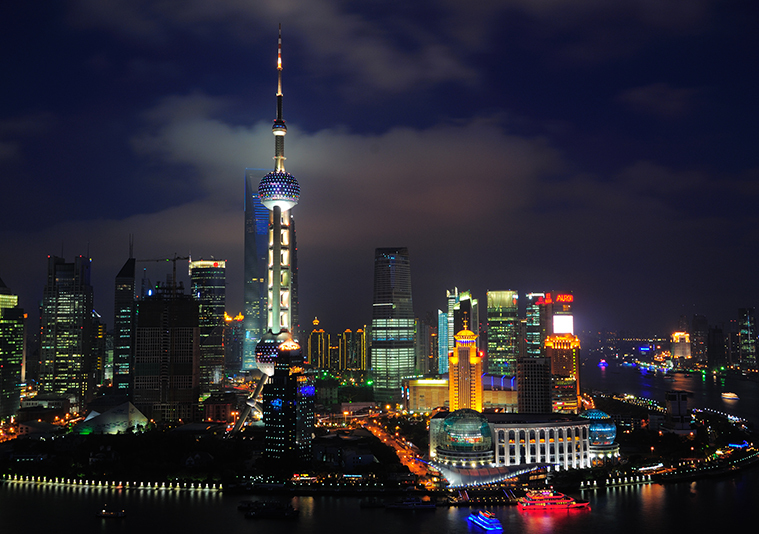 Basically, they sell unsold hotel rooms each morning at 9 a.m. in more than 450 spots globally. The rooms are categorized into Luxe, Hip, Solid, Basic, Charming and Crashpad, and you can book up to a five-night stay in about 10 seconds – three taps and a swipe. Good for those on the road, last-minuters, bargain-hunters or hearty partiers, this app can come in really handy, and rooms can be booked until 2 a.m. If you’re one of those people who can and does occasionally wing it, try this out. Great for trysts! Ten million plus downloads can’t be wrong. Sometimes the old haunts are the best. Not because you’re nostalgic or afraid of anything new, but because there is a fundamental charm that made them popular in the first place. And while gaybourhoods continue to peter out all over the world, their habitués syphoned off to mix with the straights in far cooler joints (in the East End), London’s Soho churns on. We’ve always been a big fan of gay business crowd cocktail-party throwers Village Drinks, whose after-work shindigs are still drawing them in many years on (and nary a hipster beard in sight). But only finding a speed-dating event listed during our weekend in London, we had to press on, and Soho seemed the best starting point. Weirdly, Comptons of Soho on Old Compton Street was still fun, and MUCH CLEANER than I seem to remember from the early 90s, when I was the chicken in a room of hawks. The music was from this century, which was a good start, and the wood-panelled walls and corners were lined with singles – one hand in the pocket, one hand with the pint. “Are you a couple?” asked a hirsute hairdresser to whom we’d just been introduced. “Yes,” we said, only to have him drift away from the conversation seconds later. Classic Comptons. We carried on down the street to Village on Wardour, and found a coveted perch directly under the go-go dancer. Entertainment was also provided in the form of a few higher-than-high Welsh ladies in the big smoke for a Saturday-night knees-up. Couldn’t understand a word. Happily, all the Christmas decorations remained in tact, but we can’t say the same for our dignity. Still, despite the Shadow Lounge closing this past autumn, the ‘hood remains a fun pool to dip your toe into. By the way, dinner at nearby Ceviche Soho, a Peruvian hotspot on Frith, was stellar. Have the Pisco Sour. • Of that 30% who drink when they fly, admit to starting drinking earlier than usual. The top reason given is to celebrate getting away (27%), followed by boredom (17%), socializing with buddies (15%), and fear of flying (11%). • 18% of men and 8% of women say they actually get drunk. • 28% of respondents on vacation drink something in keeping with their destination, such as tequila or a mojito. All dressed up in, say, Berlin and no place to go? MyPlusOne.net works like a sort of private tour guide for people visiting Berlin, London, Paris, Amsterdam and Barcelona, by connecting you with cool locals who show you the lay of the land. You start by telling MyPlusOne.net what your interests are and ticking off any goals you have for your trip. 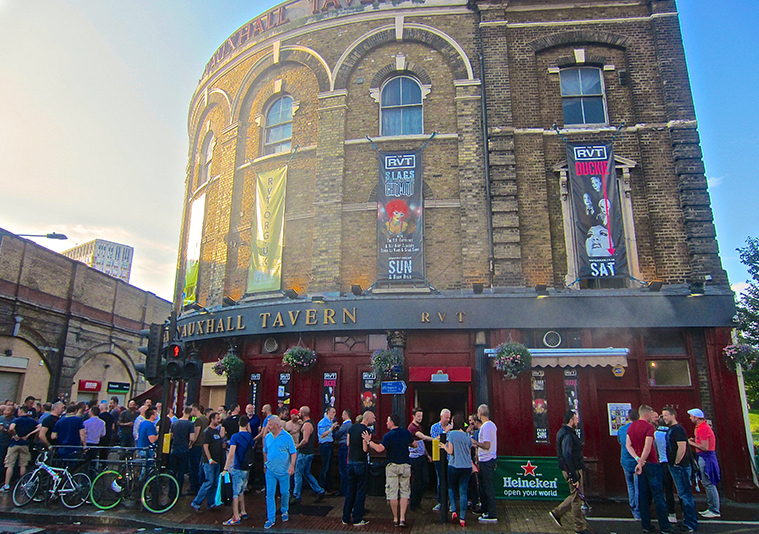 They then connect you with a like-minded local, and the two of you take it from there, arranging a time and place to meet up. These insiders can can spend an hour chatting with you on what to do and where to go ($30) or three to five hours actually touring their city with you (from $60). You save yourself from falling into the tourist trap, from being fed outdated info, and from spending money on attractions, events or tours that don’t live up to their hype. 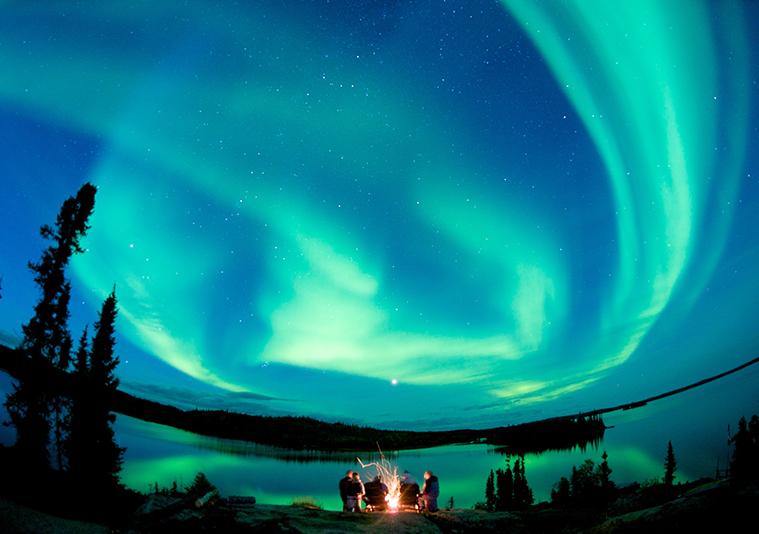 Enjoy authentic, off-the-beaten-path excitement, including restaurants and lodging – unique experiences you would never find on your own. See their review-rich site for testimonials. Happy trails! 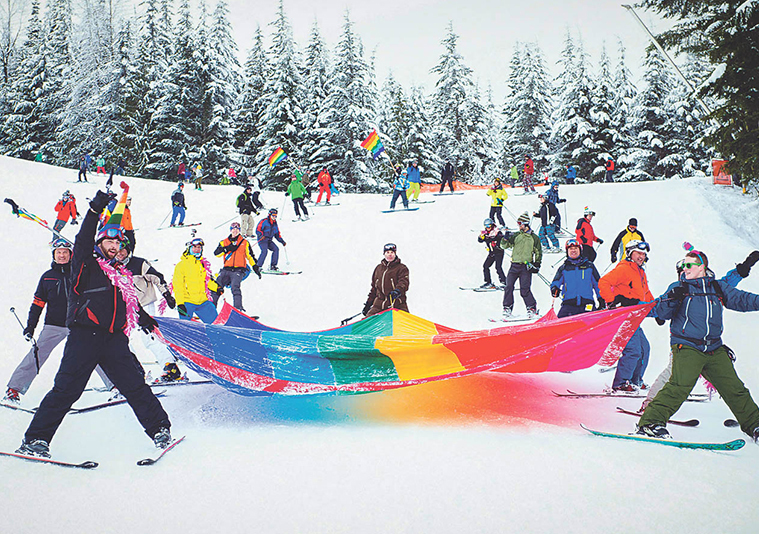 Whistler Pride and Ski Festival is celebrating 25 years this coming January 22 to 29, so if you’ve regretted passing on it other years, this season may have to be the one you bite the bullet. Headliner this year is the gut-splittingly funny air hostess Pam Ann, who takes charge of Snow Landing, with the Cube Guys of Sleeping Giant Music headlining Snowball 25. 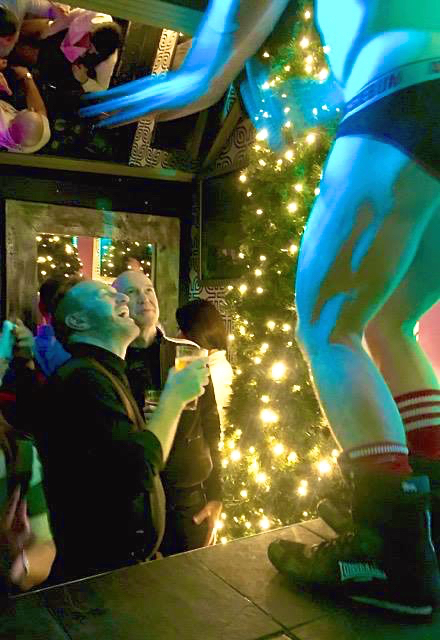 The CABN is Whistler Pride’s official gay bar of the week. Guests enjoy guided ski groups every morning, daily après ski sessions, cool cultural programming, and of course, specific parties for bears, lesbians, circuit boys, etc. The pedestrian village will be awash in rainbows. Whistler also boasts tubing, dog sledding, bungee jumping and ziplining, not to mention spa-going, gallery-hopping and lots of lovely things to eat. And drink. And drink, did I already mention that? Early bird offers net you savings if you book ahead, of course, with extra savings for those who book bundles. Visit GayWhistler.com and slot yourself in. After that, extra legs at the gym! It’s not the destination, it’s the journey. Well, actually it has to be both these days. National Geographic Expeditions and G Adventures recently added 18 new trips to their 2017 co-managed Journeys roster, just in time for you to make spring travel plans. 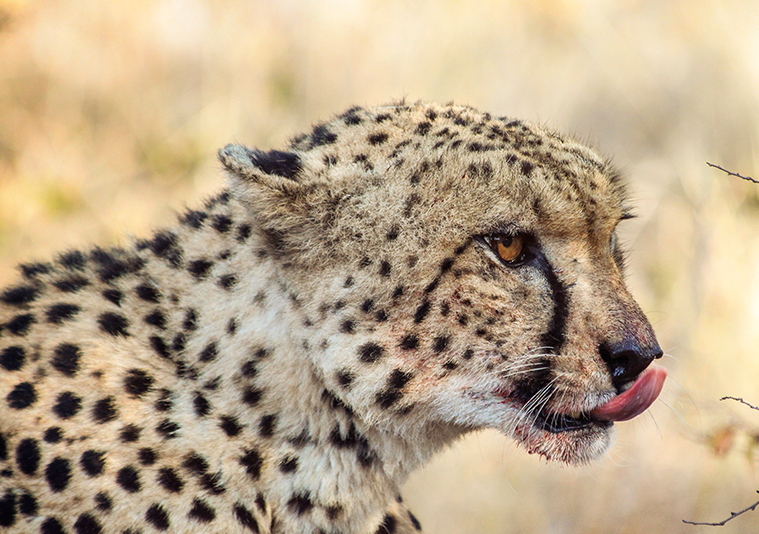 Go for a guided game drive with the Cheetah Conservation Fund in Namibia (there are seven new Africa trips); learn how to make sushi or try your hand at calligraphy in Japan; talk with war historians in France; enjoy a picnic in California’s Death Valley; or commune with polar bears in Churchill, Manitoba. The Journeys collection is pretty hands-on, getting you as close to the ground as possible, so to speak, immersing you in local culture, giving you more of an experience than a vacation, as is the trend. Plus, you touch base with some of the conservation efforts associated with G Adventures and National Geographic that improve local lives, and protect the environment or cultural heritages of these spots. These new experiential travel tours brings the total number of Journeys trips to 83 – enriching and eye-opening group travel at fairly decent all-around value that is worth pondering. Visit gadventures.com/journeys or nationalgeographicexpeditions.com/journeys. It’s location is key: The 352-room East Miami is anchored to Brickell City Centre, downtown Miami’s the new $1-billion mixed-use development project. 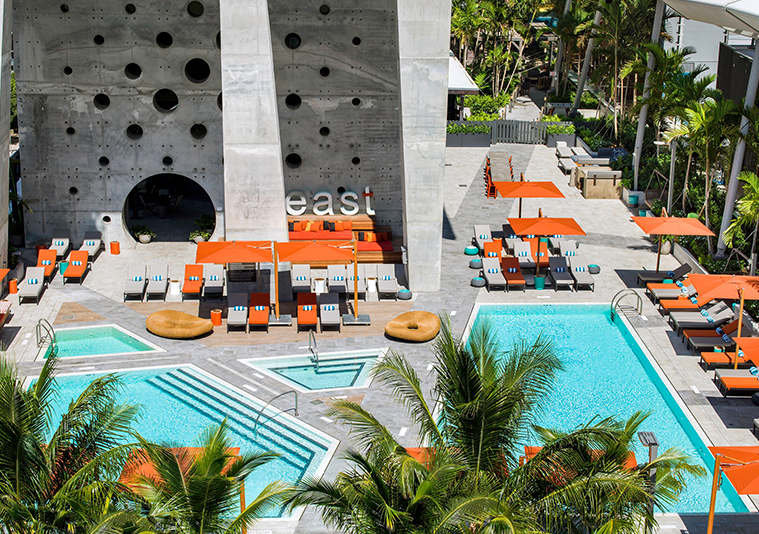 Here, you’re close to South Beach, Wynwood and the Design District, and the airport is only 15 minutes away. 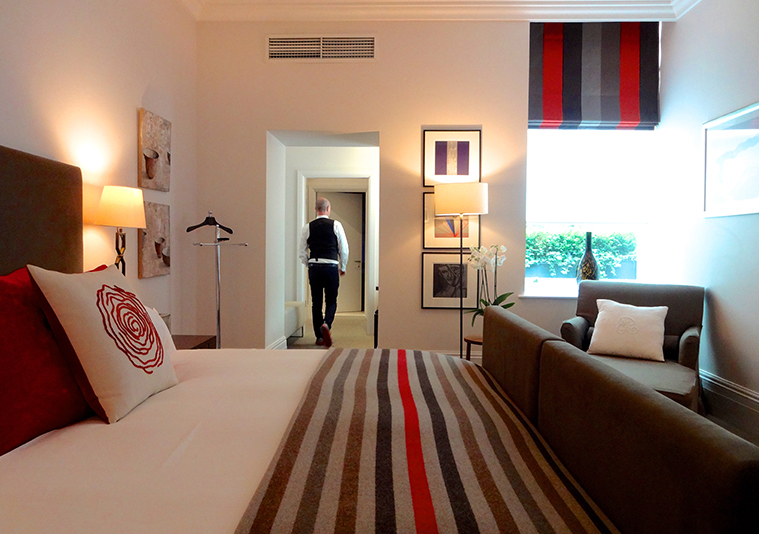 Rooms are fresh and minimal, with a complete control system you manage with the hotel’s app. Be sure to ask for a room with one of the cute balconies. But where are we heading first? To Sugar, the 40th-floor rooftop bar and Asian-inspired garden, of course. This is Miami’s new spot to grab a cocktail at the Balinese bar, plus a bite or two of Asian tapas, and soak in the jaw-dropping panoramic view. An upper level sports a wrap-around teak deck. Quinto La Huella restaurant on the fifth floor is an offshoot of Uruguay’s swank Parador La Huella in Punta del Este. 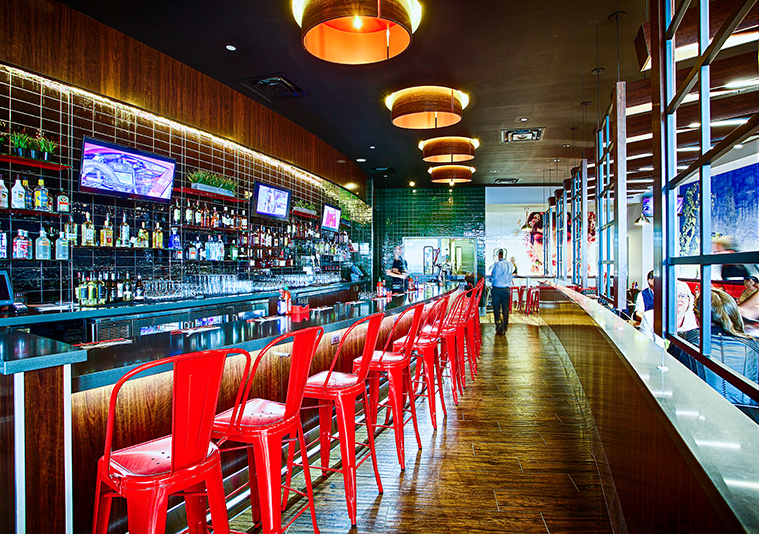 It’s focus is barbecue, of course, with oak-fired ovens churning out classic grilled fare. It’s also quite massive, with seating for 350+ over almost 10,000 square feet. First-time visitors get special offers and rates during the hotel’s opening phase, so take advantage. From $340. Visit east-miami.com. My absolute favourite hotel brand, Andaz, has opened its first hotel in Canada – and guess what? It’s not in Toronto. The new, 200-room, 16-storey Andaz Ottawa ByWard Market recently plopped itself down right in the middle of the market’s boutiques, galleries, restaurants and bars. 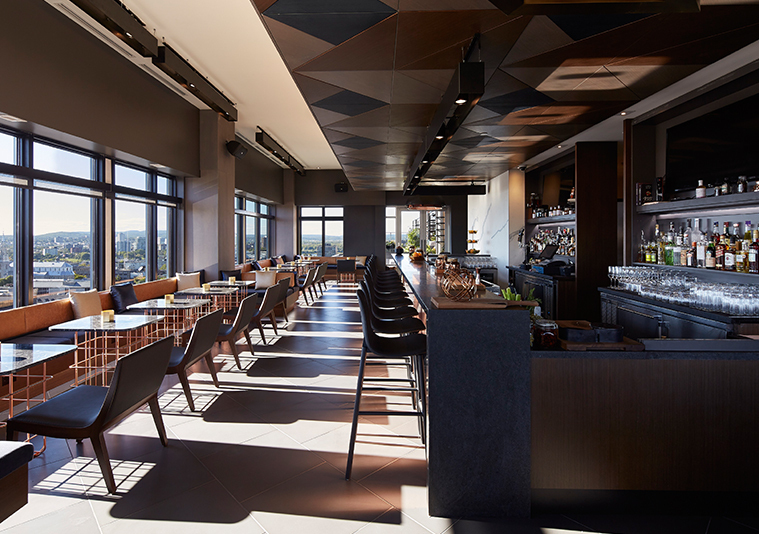 Well-known for incorporating local spirit into the design and character of each of their now 13 locations (all global gateway cities and top resort destinations), Andaz has injected this new one with pure Canadiana, all wood and copper and grey stone. Each floor takes on a persona of a Canadian province or territory, with art curated by the Canadian Council Art Bank. Signature Andaz Salon events – lectures, exhibitions, live performances – will connect guests to local cultural experiences. Re food and drink, descriptions of Feast + Revel restaurant throw about phrases like New Canadian cuisine and pan-Canadian flavours (I love using this phrase), and we can rest assured the kitchen’s preferred ingredients will be local, organic, hormone-free and sustainable. Copper Spirits & Sights, the rooftop bar, boasts amazing views and is poised to become the new It spot for the city’s chic-seekers. Three more Andaz hotels are set to open this year, in Scottsdale, Delhi and the Mayan Riviera. Business must be booming. From $300. Visit ottawa.andaz.hyatt.com. With airlines clamping down on passengers who abuse carryon luggage policies, more bags will invariably end up being checked. More checked bags means more chances for your bags to go AWOL – or get lost for good. 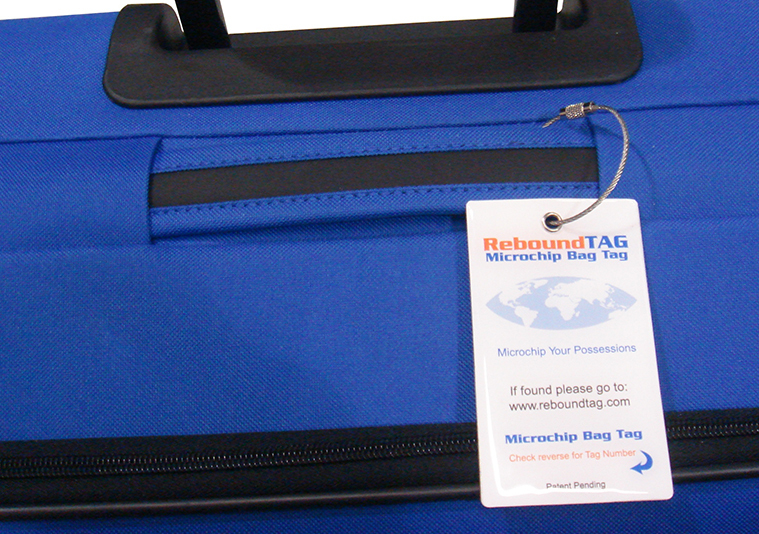 And while smart bag tags have been around for a bit, ReboundTAG is the first one that employs all the available tracking systems into one – radio frequency identification, barcode, printed number and integration with airport baggage handling systems. ReboundTAG is also the first one that works in all airports worldwide. You get a message or email when the lost bag has been found, and let the reunion begin. Corporations that buy the tags in bulk for travelling employees can get their tags branded with their logo. Visit ReboundTAG.com. Anguilla really has it going on. Its pretty little Merrywing Bay is the site for the new, high-style, 80-suite The Reef by CuisinArt resort, which opens next month. A chic beachside sister to the posh CuisinArt Golf Resort & Spa nearby, it will feature luxury seaside suites, two tennis courts, a big fitness centre, and smashing locally sourced food. Accommodations include a variety of golf course- and sea-view and beachfront suites, kitted out with all sorts of techie gadgetry, oval bathtubs, and Rusk and L’Occitane amenities. 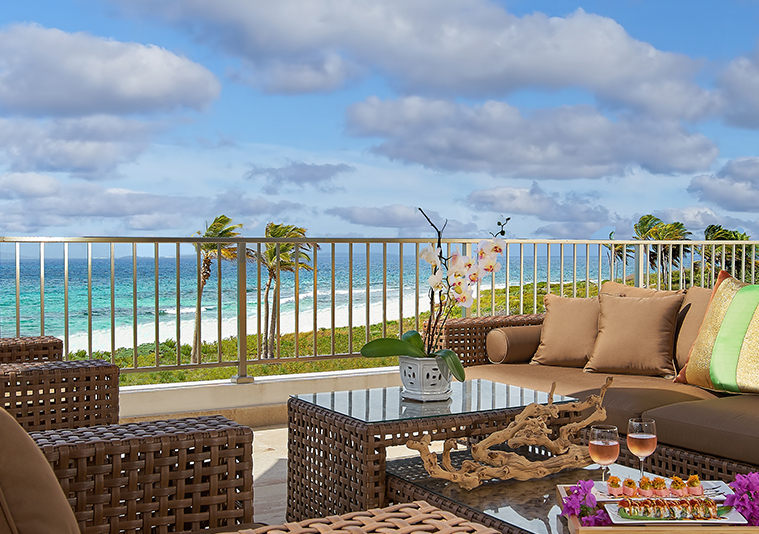 Guests also get preferred rates and tee times at the Golf Resort & Spa’s 18-hole, Greg Norman-designed course, plus signing privileges at the spa and restaurants. From $500USD. Visit TheReefbyCuisinArt.com. I’ve been chatting up Croatia lately, so here is an idea for those of you thinking about it. The country’s top small-ship cruise company Katarina Line is adding three new ships to its fleet for 2017. It’s reacting to bigger demand from North American travellers: Guests from the States are up 25% for them, and Air Transat launched a new flight to Zagreb earlier this year. Having already added seven new ships in the past three years, Katarina is loving both the ever-increasing popularity of smaller boats and the interest in Croatia. Itineraries include the towns of Split, Bol and Trstenik, the city of Dubrovnik, and the islands of Korčula, Hvar, Bol, and Mljet, the latter a national park. Guests explore this scenic Mediterranean coastline, island-hopping and taking in the sights. 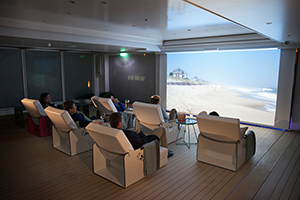 The company breaks their fleet into four categories, from the luxe boats that accommodate up to 42 guests, to the sailboats for eight to 14 passengers. Weekly departures April to October, from Opatija, Split and Dubrovnik. Pre- and post-tour land tours are also on tap. Visit Katarina-Line.com. With authenticity being such a travel buzzword these days, it was only a matter of time before itineraries got looser, particularly on the water, where weather so often dictates the agenda. With its intimate, small-ship sojourns, Intrepid Travel is a good example. The tour company recently added two new seven-day sailing expeditions to its roster of North American sailing trips, beginning in early spring 2017. The Florida Key West & Dry Tortugas Sailing Expedition takes you way out west on the keys to Dry Tortugas, one of the most remote national parks in the U.S. Guests toodle around the islands, learning about the history of the keys, checking out shipwrecks and protected mangroves. And while no two tours will be the same, you’re pretty much guaranteed white sand, coral reefs and palm trees. The Bahamas Sailing Adventure tours through the Abacos Islands, and makes plenty of time for spontaneity, snorkelling and fishing for your own supper. It doesn’t get much more authentic than that. Intrepid’s other N.A. sailing trips include the British Virgin Islands and Cuba. Abroad, the company runs itineraries in 14 countries, including France, Italy, Myanmar and Thailand. 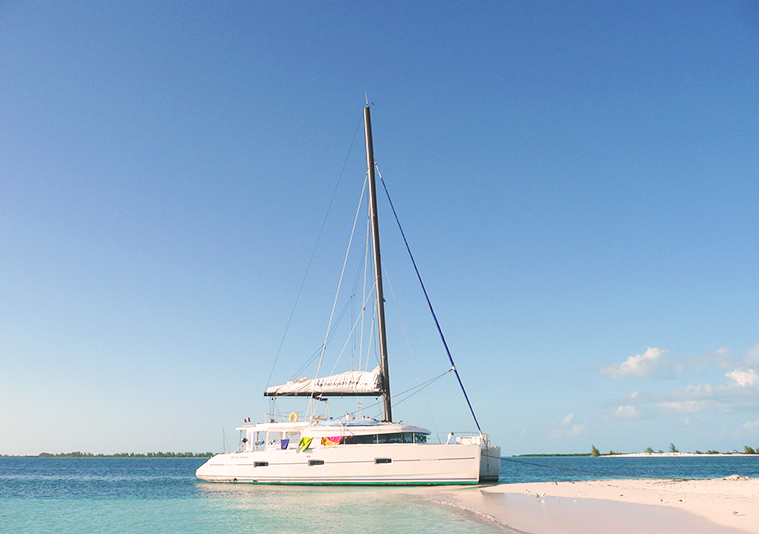 So many little Cays, so little time: For all the intel, visit IntrepidTravel.com/sailing. A whole bunch of numbers arrived from Emirates Airlines the other day that are just too over-the-top-luxe not to share. This could be pie-in-the-sky for you, but wine in the sky has been a major focus for them since day one. Approximately $850M has been invested in their wine program since 2006. With the luxury market as competitive as it is, the players really have to stand out to keep up. But here’s a left-field stat: More than 50% of the on-board wine and champagne consumption on Emirates is in economy class. The cheap seats! Joost Heymeijer, SVP Emirates In-flight Catering, continually has his work cut out for him, selecting wines according to the route, taking into consideration how taste buds change at higher altitudes, and OH, is there enough Dom on board? 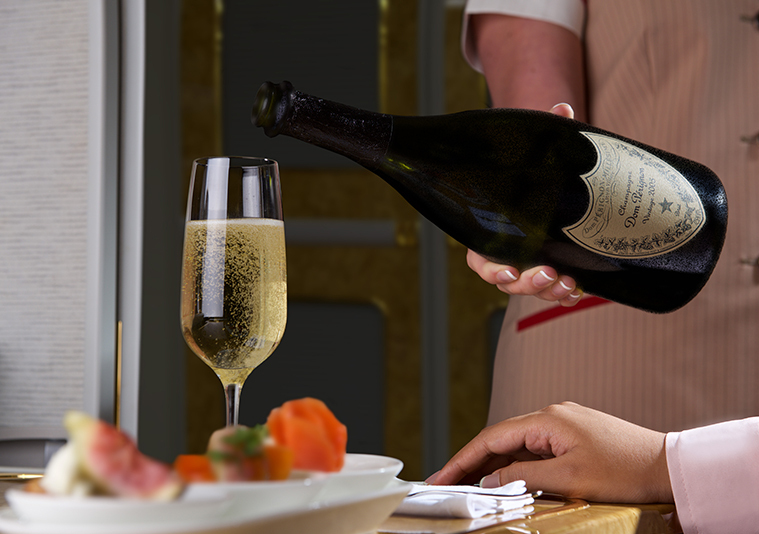 That sort of thing: Champagne is the most popular choice in first and business classes, so it’s no surprise Emirates is the number one global partner of Dom Perignon. Heymeijer’s team sources wine from 12 different countries, old world and new, and as a true testament to their commitment, their wine cellar in Burgundy, France, stores 2.2 million bottles – with some not ready for drinking until 2025! Talk about the long haul. Before those bottles mature, though, the airline is expecting to serve 1.8 million bottles of wine plus 21.3 million single-servers in 2020. Bottoms up. Visit Emirates.com. How many can you tick off your list? Hiking, biking, kayaking, small-ship cruises, culinary tours, safaris, diving and photography are the top pursuits. Respondents cited communing with nature, checking experiences off a bucket list, spending quality time on family trips, and wellness considerations as big reasons for this travel choice. Visit Virtuoso.com. Champagne taste on a beer budget? 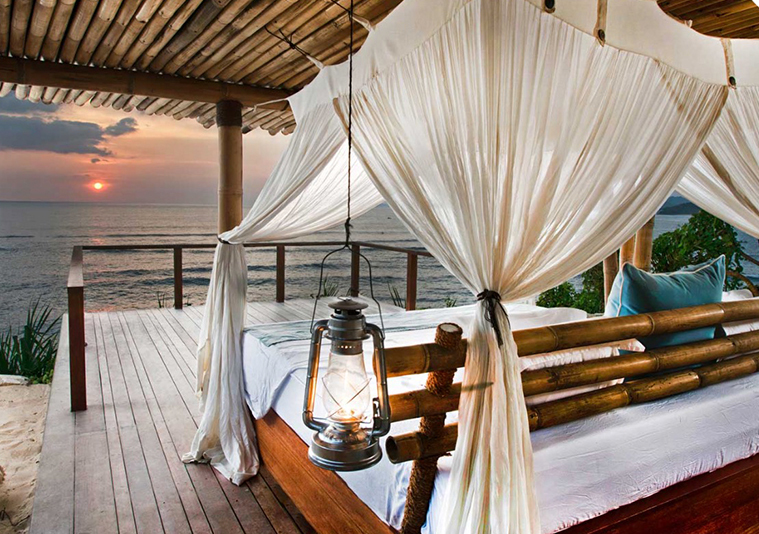 Stayful.com can help you find a boutique hotel room at a price you’re comfortable with. 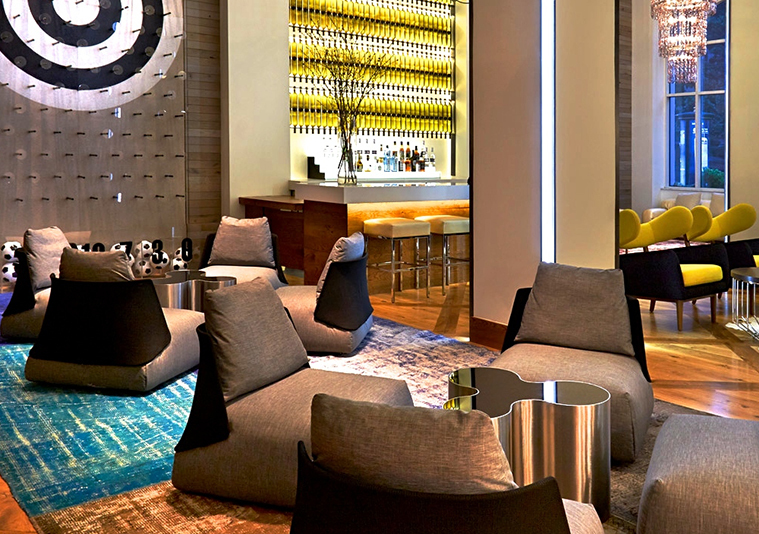 After selecting destination and dates, you bid on three different hotels (such as San Francisco’s Hotel Zetta, pictured), stating the price you want to pay. Stayful then negotiates with these hotels, which either accept your bid or counter with another. 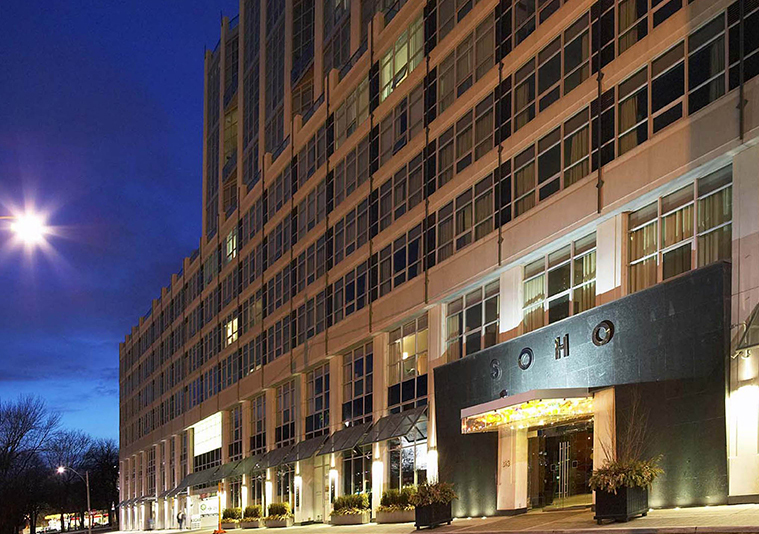 You get one bid every 24 hours on each boutique hotel you’ve selected. When the price is right, you click Book Now and start packing. Visit Stayful.com for more. This is a cool birthday present idea. Semi-staycations can be fun (localcation? suburbcation?) 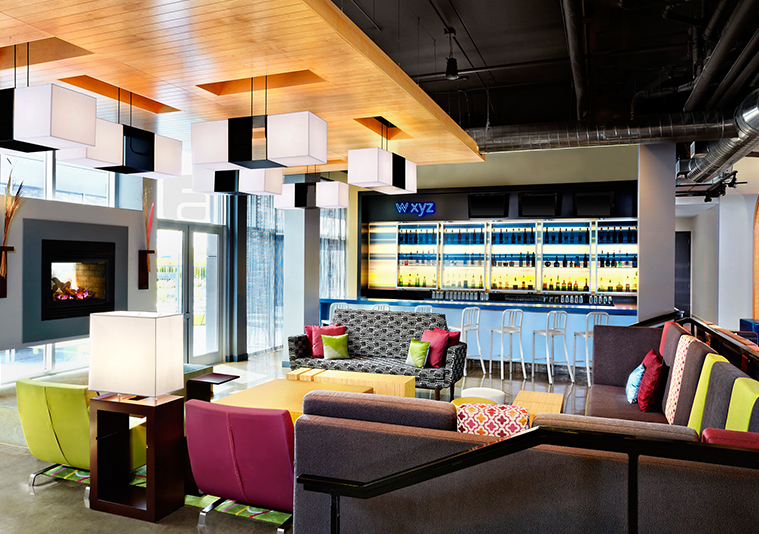 and these ideas from Aloft Vaughan Mills hotel is quite clever. In an effort to draw downtowners north to the mall, to Canada’s Wonderland and to Legoland – not to mention Black Creek Pioneer Village, the McMichael and Magnotta winery – the hotel has a few cool packages that sweeten the 905 pot. 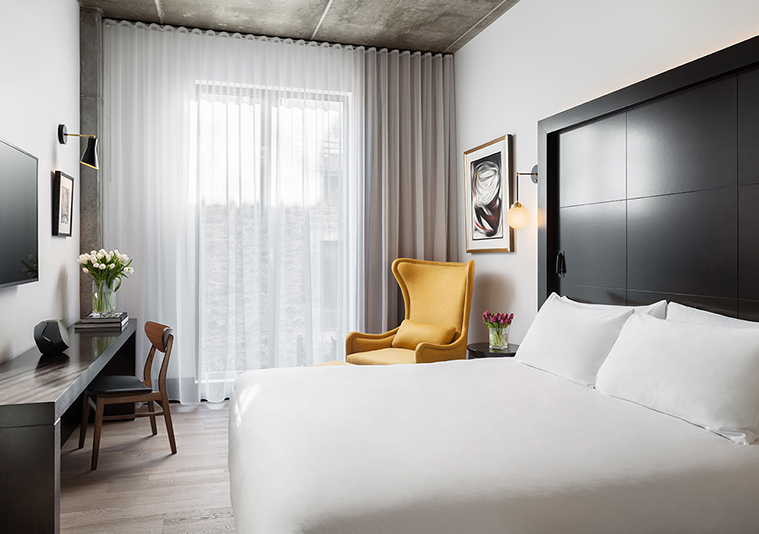 The Shop Til You Drop package gets you an overnight stay in a loft-inspired guest room, two special drinks at the W XYZ bar, breakfast for two, a $40 Vaughan Mills Shopping Centre gift card, welcome tote bag and savings booklet. From $201 with promo code LTPKG1. For those with kids, the Legoland Discovery Centre Package includes an overnight stay, breakfast for four, plus two adult and two kids’ tickets for Legoland. From $198 with promo code LQPKG1. A Canada’s Wonderland package includes accommodation with breakfast for two, plus two adult tickets to Canada’s Wonderland. From $255 with promo code LOPKG1. Visit AloftVaughanMills.com and don’t forget the golf clubs. 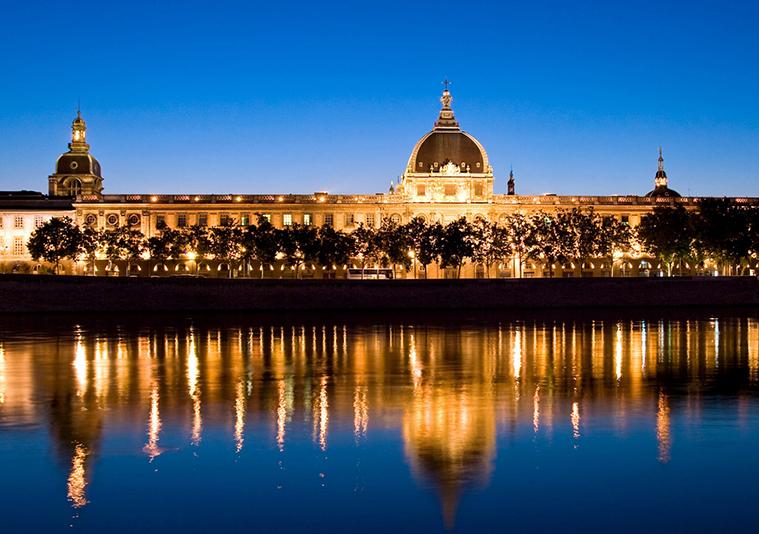 While a few chunks of Europe may be breaking away, Tourisme Montreal and France’s Lyon Tourist Office and Convention Bureau have decided to get even chummier. Augmenting a friendship agreement that was originally signed in 1979, the two cities now have a new cultural trade agreement and a fresh new to-do list to work on together, including persuading airlines to increase flights between their airports, and beefing up new business in other ways outside the tourism sphere. Food tourism is big for both camps, and these new initiatives will likely see more tourists from Canada and France enjoying this culture swap. Air Canada recently launched year-round service between the two cities, so the only way is up. TravelRight.Today will be heading to Lyon in a few weeks, and will report back. Et bon volle. Hotel William Gray has thrown its hat into the boutique hotel ring in Old Montreal, now open for booking at 421 St-Vincent, steps away from Place Jacques-Cartier and the Old Port. 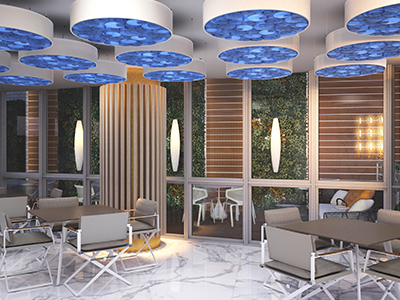 This new hip spot from the Antonopoulos Group has a super-clean design, 127 rooms and suites, a 180-seat restaurant, a rooftop terrace with superb views, 24-hour room service, a new Café Olimpico coffee counter in the lobby, and soon, a luxury spa with an outdoor pool. The event space totals more than 10,000 square feet for those of you who like to mix business with pleasure. From about $375. Check out the special grand opening offer at HotelWilliamGray.com. It doesn’t happen very often, but it does happen: You get stuck with a non-refundable hotel room you can’t use and you have to hide the credit card bill to avoid the shame. Roomer buys and sells hotel rooms in cities all over the world, with a high concentration in the U.S. It works in more of less the same way StubHub.com sells off theatre tickets. You submit your unused hotel reservation, they post it and you get paid when someone buys it. Best of all, it works both ways, a boon to bargain-seekers looking for a room, if you can handle the last-minute-ness of it all. Visit Roomertravel.com. Always in search of the ultimate carryon suitcase, I sifted through dozens of luggage review sites, stumbling upon the inventive – albeit a bit gimmicky – Genius Pack Pro. It actually has a segregated (and removable) laundry pouch with an integrated air valve to vacuum pack your dirty clothes! This is the genius part. Other really good parts include: labelled compartments; a place for mobile phone/electronics charging; a spot for a mini loud speaker for tunes; a jacket strap for keeping your jacket in place while you roam the concourse; a pop-out umbrella; a water-bottle pocket; a retractable ID card and more. It has the industry standard 22 x 14 x 9-inch carryon dimensions, plus an expander in case you’re checking it. 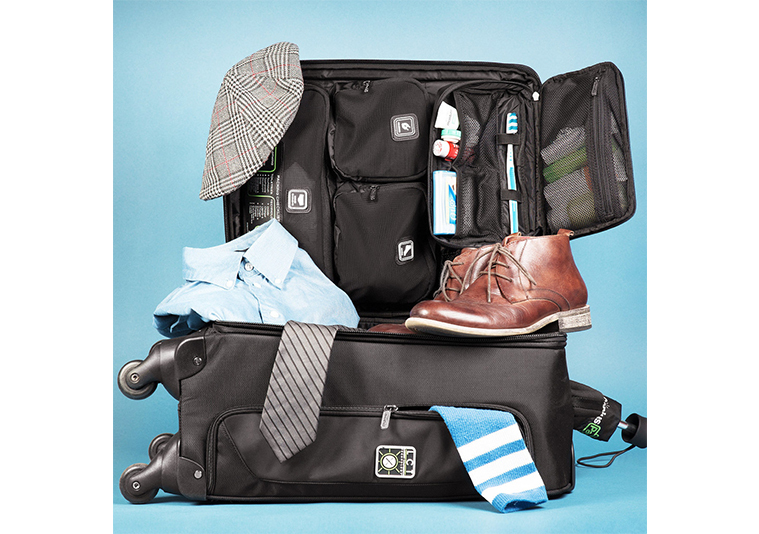 More for the business traveller or the weekender, rather than those enjoying a week somewhere, but very cool. About USD$300 with shipping. Visit GeniusPack.com. Hiring a personal tour guide sounds expensive, right? 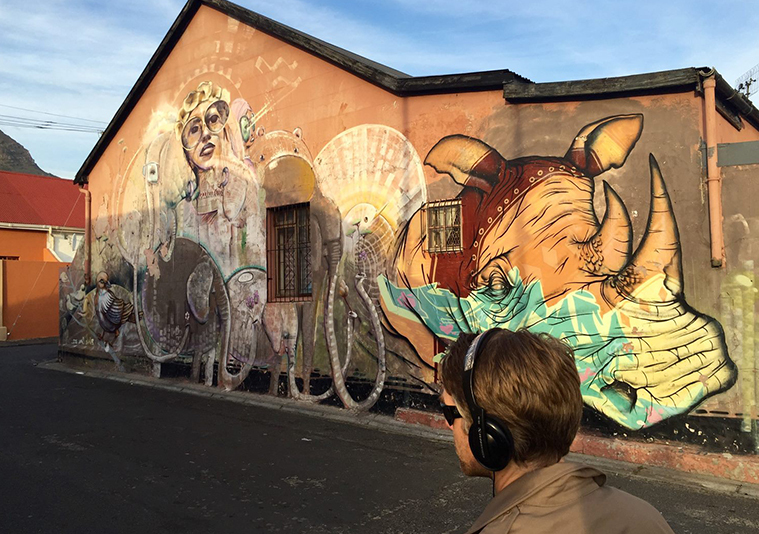 Here’s the work-around: The VoiceMap app provides you with audio guides for tours in more than 50 cities, produced by local storytellers, journalists, podcasters, novelists, and tourism pros who tell you everything you need to know about what you’re seeing as you walk around. It’s like a podcast that moves with you – as if you’re walking around inside in a documentary film. For walking, cycling, boating – there are hundreds of free and paid tours, with lots of variety. This is also great for people moving to a new city and wanting to get the lay of the land. It works offline; just download and go, following an offline map. Free at iTunes. 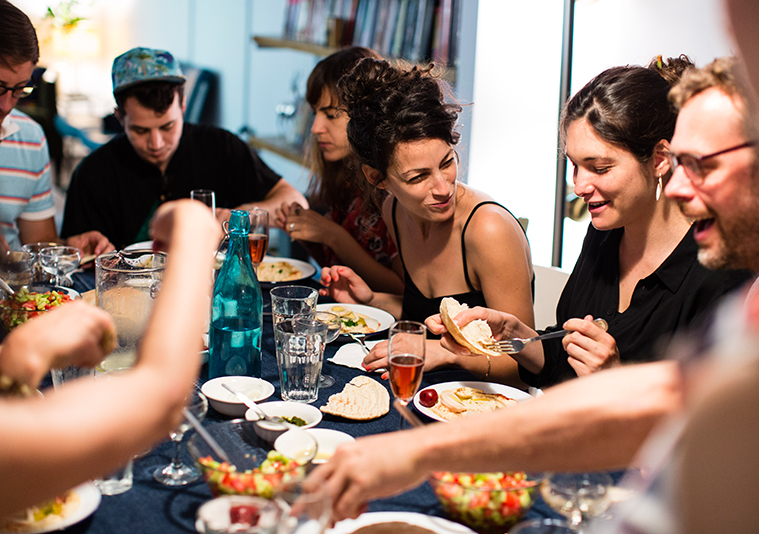 More of an experience than simply a meal, EatWith.com lets you find homemade food at great value in private homes in more than 30 different countries. Plug in where you’re going, whether you want breakfast, lunch or dinner, and select your price range. The site spits out your options with details, including notes on the host, pictures and maps. Not only can you save money, you also meet a ton of interesting people. Doug appetite. If design is high on your checklist, this one’s for you. 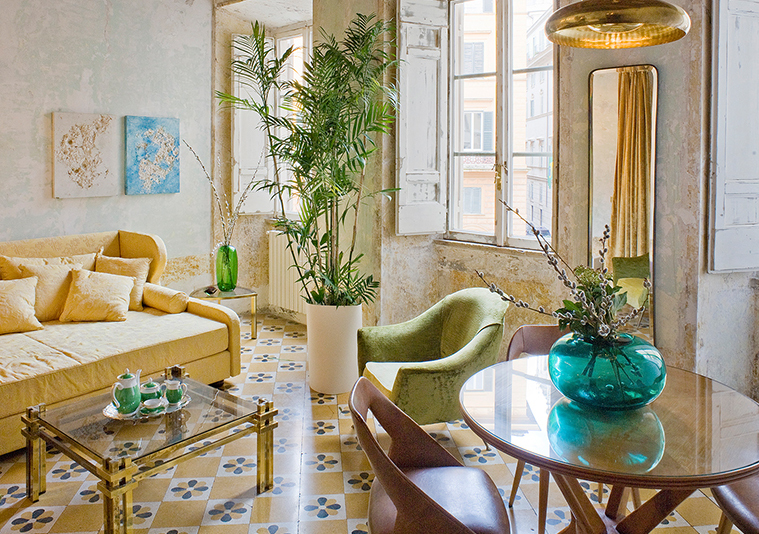 DesignHotels.com curates more than 270 unique hotels in 50 countries, each one not only nicely designed but run by independent owners (like Rome’s G-Rough Hotel, pictured). You get local culture plus something a bit more down-to-earth price-wise than other boutique-oriented sites. This is a good newsletter to sign up for, so you can keep cool hotels in mind for down the road. Air Canada now flies direct from Montreal to Casablanca, a seasonal flight operating four times a week (Monday, Wednesday, Friday and Sunday). This is the airline’s first direct flight to Africa, one of four new routes that expands its international reach. This is especially good news to Montreal’s considerable Moroccan community. Casablanca is the economic and business centre of Morocco, not as touristy as Marrakesh, but just as engaging. This part of the world is so steeped in history with a culture so rich and colourful, you may have to spend a month winding your way through all its compelling corners. The Moroccan countryside has it all: two coasts, forest, rock, farmland, desert and palm trees. Air Canada’s direct service ends October 17. 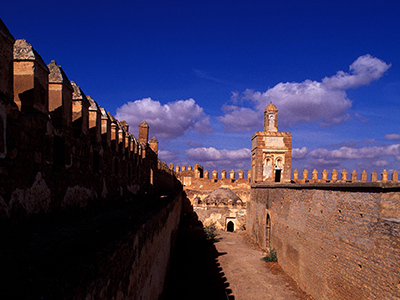 Start planning at visitmorocco.com. A sumptuous seaweed wrap at the gorgeous spa in Glasgow’s Blythswood Square Hotel will cure whatever ails you. After that, ask the bartender on the second floor to shake you up a Pegu Club. 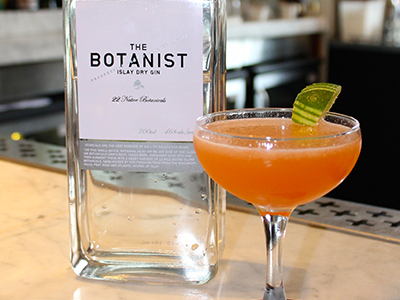 “Light, aromatic – perfect for summertime.” This is your new signature cocktail. ME by Meliá recently opened the doors of its first luxury lifestyle hotel in the U.S. ME Miami is situated smack dab in the middle of the city’s top hotspots, near the Pérez Art Museum, Miami’s Adrienne Arsht Center and the new Patricia and Phillip Frost Museum of Science opening this summer. Find 129 rooms on 14 floors, with some suites sporting a sweet view of Biscayne Bay. The interiors are a modern, subtle mix of cream and grey hues, with not-so-subtle hits of gold and silver to mimic Miami’s shiny, happy persona. The hotel also features SkinC Spa on the 14th floor, a couple of pools, a STK steakhouse, indoor and outdoor dining and a nice terrace with skyline views. This is your new home base in Florida. Other cities sporting the ME brand include London, Madrid, Mallorca, Ibiza, Milan, Cancun and Cabo San Lucas. Visit MeMiami.com. 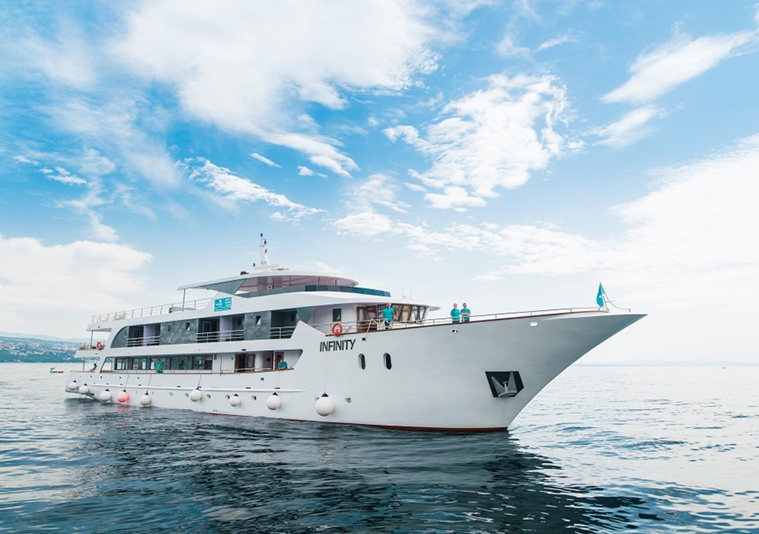 Scenic Luxury Cruises and Tours recently introduced a zero eco-impact “discovery yacht” – the all-inclusive, five-star Eclipse, launching in 2018. 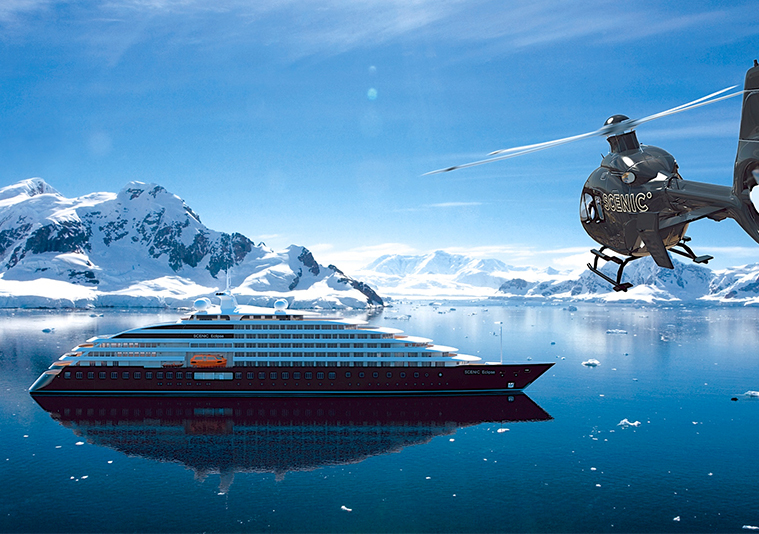 It will be the only polar-rated luxury cruise yacht with a submarine and two helicopters, giving guests an air, land and sea experience. The maiden voyage will include the Americas, Antarctica, Europe, the Medterranean and the Arctic. The biggest suite is 2,500 square feet, and all suites come with butler service. Start shaking the Vespers, coz this is a James Bond moment for sure. Visit Scenic.com.au/eclipse. G Adventures has a bunch of new trips in their Active category for those of you who equate travelling with not sitting still – i.e. trekking, camping, biking and kayaking. Many of these trips use camping as the accommodation option, which saves you money and gets you closer to nature. An 11-day cultural trek in the Himalayas offers up temples and monasteries, sacred mountain passages and access to some of the most beautiful and remote places in the world. Hike along the UNESCO-listed Kumano Kodo pilgrimage route in Japan, then cycle across the world’s largest series of suspension bridges, then kayak around the floating Itsukushima Shrine – all in 13 days. 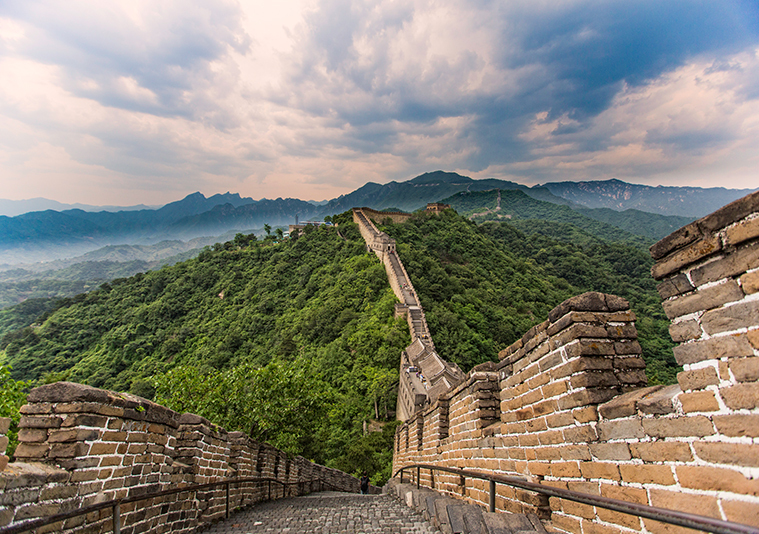 Five days of cycling the back roads in China will also put you on the Great Wall of China, at historic Tiananmen Square, and in the Forbidden City. And a 10-day Patagonia multi-sport adventure takes you through Torres del Paine National Park, cycling out to Laguna Sofia, kayaking alongside the Grey Glacier, and cycling among the peaks of Patagonia. 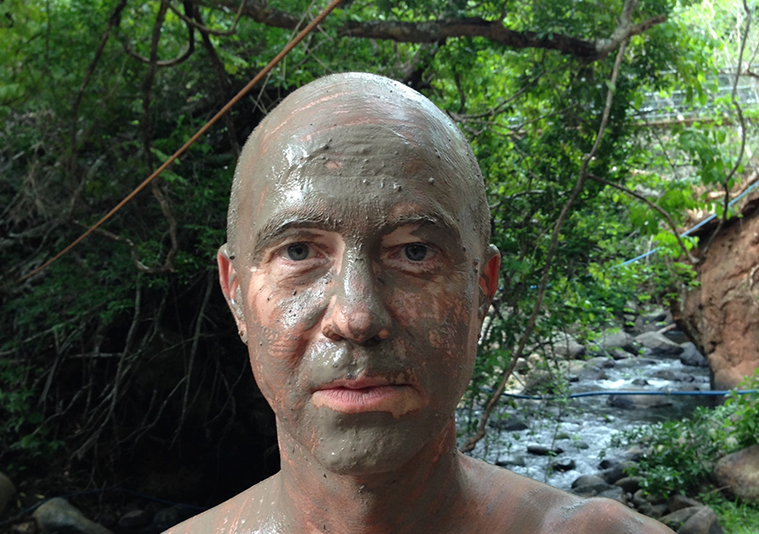 Visit Gadventures.com/active.